Solar Leads – How do I get them? How do I know if they are any good? Let’s face it, marketing in any industry is tough, and solar is no different. That’s where we come in: our goal is to accelerate the adoption rate of solar power by providing you with ROI+ high-quality, real-time solar leads. What makes a good solar lead? First of all, let’s address the obvious: you may have had bad experiences with purchasing solar leads in the past. The truth is, the lead-generation industry doesn’t have the best overall reputation. That doesn’t bother us, because we never considered ourselves a lead-gen company. We’re an organization dedicated to accelerating the adoption-rate of solar power. Our goal is not profit maximization but getting more solar panels installed. This is a core tenet of our company and it means that if you as the installer fail, we’ve also failed. We’re not paying lip service to this, it’s our mission. That said, our core beliefs are also firmly rooted in tech-startup methodology. In English this means we spend our time testing and iterating to find the best solutions to this problem. As entrepreneurs we expect to spend 99% of our time finding the 1% of things that really make a difference. In the case of solar leads: which traffic sources consistently turn into solar sales? The reality is, even as professional marketers it’s extremely difficult to separate the wheat from the chaff when it comes to quality. 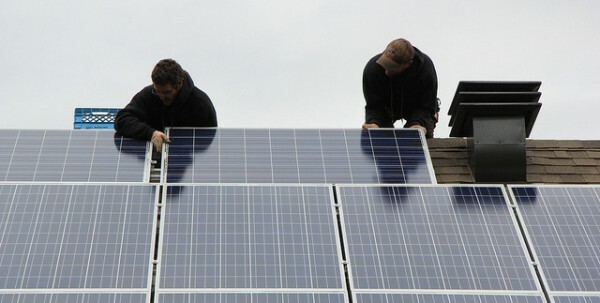 But since this is our job we’re good at it, and it also means we empathize with the position of a solar installation company that wants to spend time on the roof, not in front of a computer screen. The lead comes from a high-quality traffic source. The lead’s intent is toward the end of the buying cycle – someone who is seriously interested in solar power. The lead’s user experience is clean. No tricks, no ‘free solar’ gimmicks. Clear information about what the user is getting. The lead’s information is QAQC’d to screen false data. The lead is delivered to the sales team as fast as possible. The more lag between signup -> installer the less of a chance of sale. In fact, failing to call a lead within the first 5 minutes drastically reduces the chance of success. If you aren’t calling the lead within an hour, forget about it. In most cases this means getting the lead to you as fast as possible, without the intermediate step of a qualification phone call. If you had to guess, which of these do you think is most important? If you said ‘solar leads that come from a high-quality traffic sources’ you guessed right. All the lead qualification in the world isn’t going to change the user’s intent. Our goal isn’t selling leads, our goal is making you sales. That means we base our marketing efforts off the specific metric that drives your success. We’ve been in the business of online marketing for nearly a decade, and we’re experts at the nuances of various sources of web traffic. Even with this much experience we’re still surprised that some traffic sources convert into sales, and others don’t. This can even vary by buyer! Since our goal is sold systems we collect large data sets about what sells and what doesn’t, across installers and traffic sources. This gives us a unique ability to selectively increase or screen specific traffic sources, and give you the best of what we’ve got. We work with high-quality, curated traffic sources. Don’t be fooled lead generators offering you something that sounds too good to be true – it probably is. We develop and scale the highest quality traffic sources available, in order to help homeowners down the buying cycle. We want long-term installation partners. Our customer retention rate is close to 100%. We’re not looking for a quick win here. Rather, we’ve strapped in for the long-haul to help make solar a reality for millions of homeowners. This means we do our best work with long-term, committed installation companies who seek to grow and expand. As a result, we’re willing to go the extra mile to make sure you get the service you deserve. We use state of the art marketing and technology. We cut our chops building out the marketing channels for internet companies in the Silicon Valley. This means we’ve had a lot of real-world experience tell us what works and what doesn’t. As experts in the fields of online marketing, lead-generation, conversion-rate optimization, and so forth, we’re always iterating on the best practices to do better work. We also love what we do. To further serve our efforts we’ve built our own custom technology to support our lead distribution and marketing efforts. We’ll screen leads based on your criteria and also work with you to seamlessly integrate with your sales team and CRM. We’ll find pricing and a returns process that work for you. We’ll work with you to find a solution that works for your budget. It’s easy to make returns and your risk is almost nonexistent – talk to us about running a trial period and rest assured you can return leads that don’t work for you. Exclusive and non-exclusive options. We’ll work with you to determine the best option. See your business grow with qualified solar leads delivered to you in real-time – via api, CRM, email, text, sms. Track prospects, account spend, returns, all in our custom platform. Get the support of a committed business partner – we pride ourselves in our customer support and new solutions to help you run your business. Make marketing easy. We do all the work so you can focus on selling your product. If you’d like to get started, click here to get in touch with us today. We look forward to hearing how we can help.